Where colleagues can socialize beyond the boring water cooler! 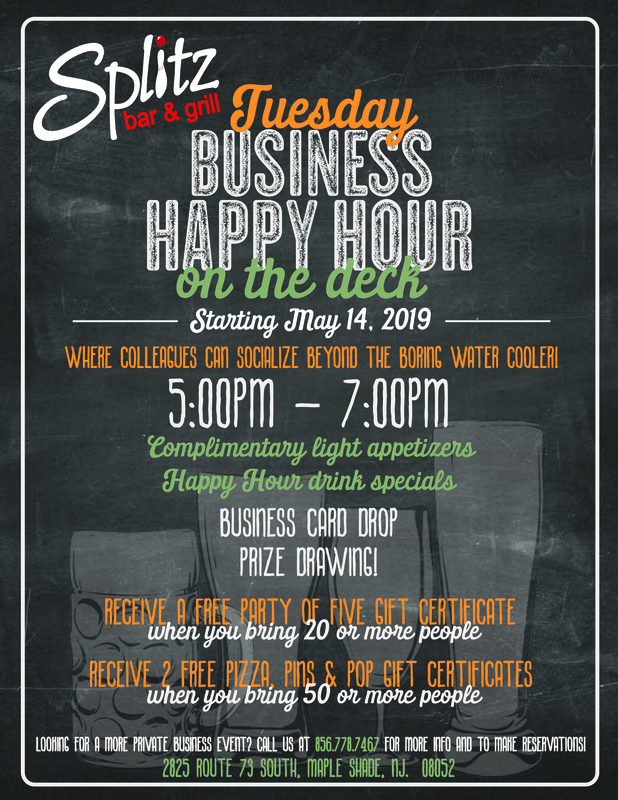 BUSINEES CARD DROP PRIZE DRAWING! Looking for a more private business event? 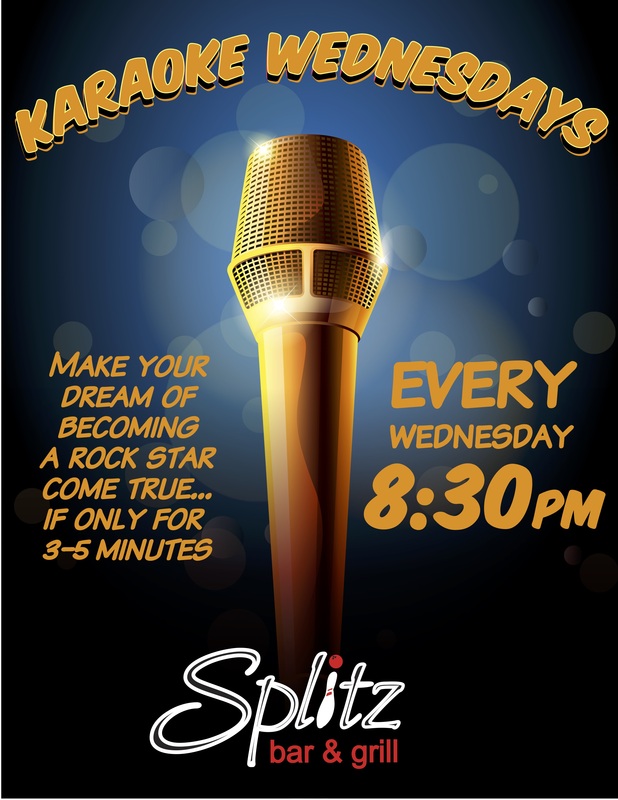 Call us at 856.778.7467 for more info and to make reservations! 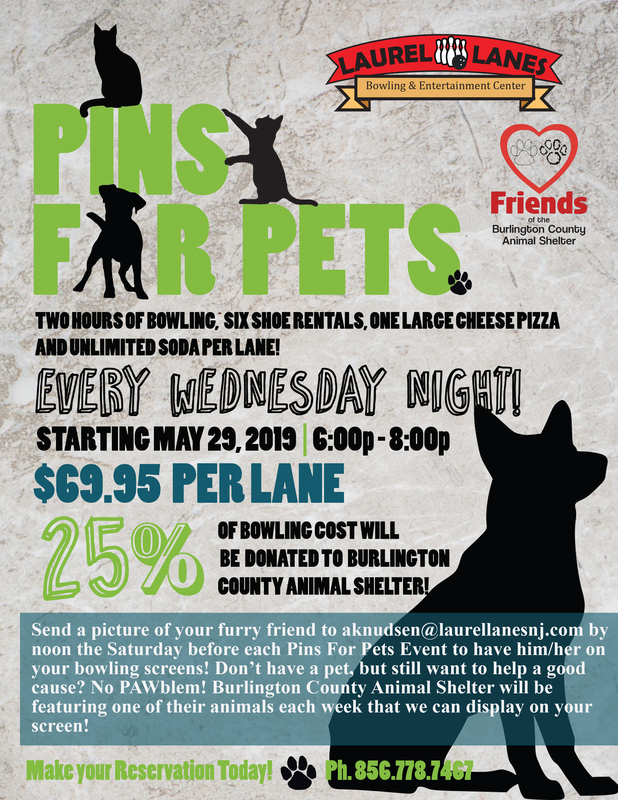 Send a picture of your furry friend to aknudsen@laurellanesnj.com by noon the Saturday before each Pins For Pets Event to have him/her on your bowling screens! Don’t have a pet, but still want to help a good cause? No PAWblem! Burlington County Animal Shelter will be featuring one of their animals each week that we can display ony our screen! 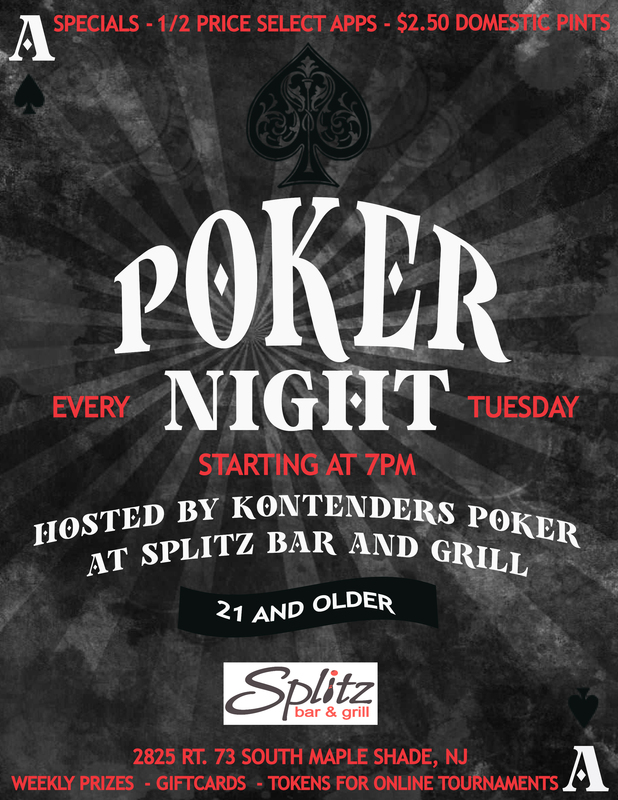 Weekly Prizes, Gift Cards, Tokens for Online Tournaments! 1/2 Price Select Appetizers and $2.50 Domestic Pints!